This designer villa in the west of Ibiza is notable for its unique architecture and loft-like style. 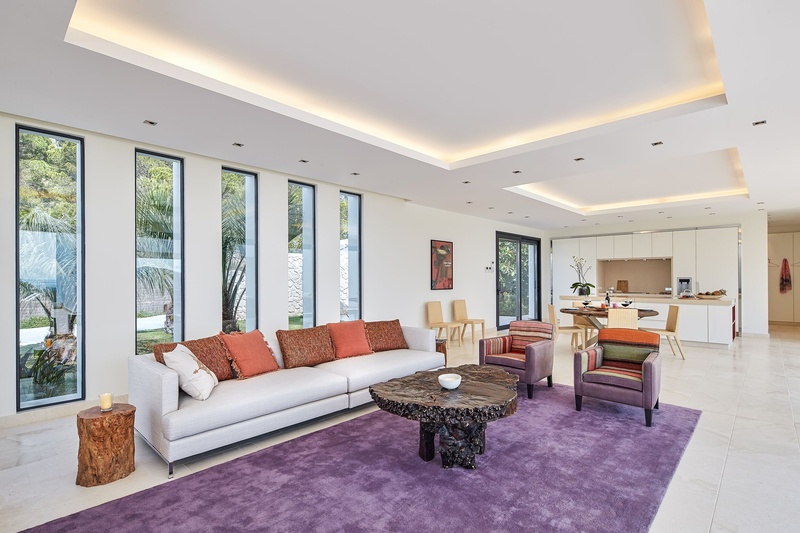 Its special location in the desirable residential area of Vista Alegre in San José makes the Villa even more distinctive. 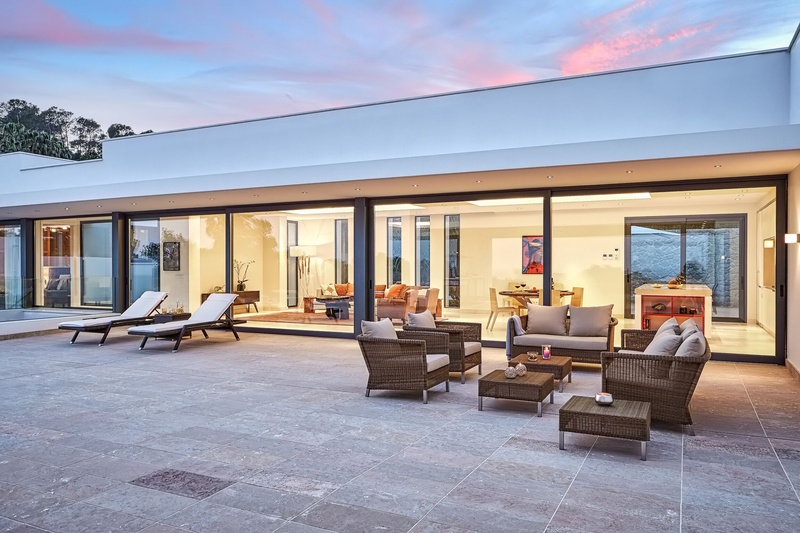 Part of the 800 m2 luxury house was built into the hillside and the floor-to-ceiling windows offer fantastic views out over the Mediterranean. 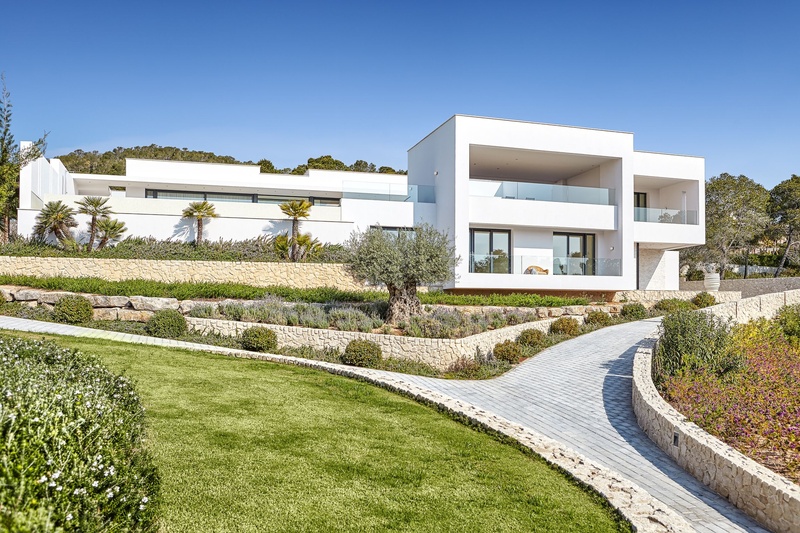 Along with all modern conveniences, this extraordinary property also contains architectural references to the classic Ibizan building style. 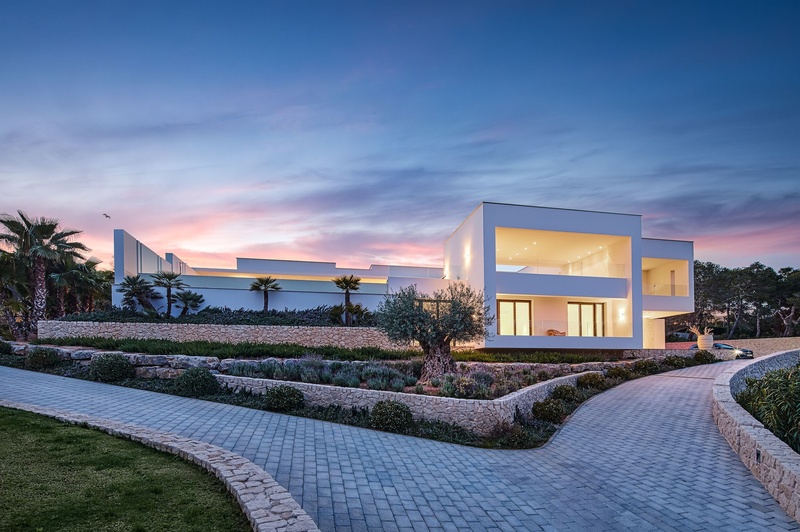 As a result, the villa nestles perfectly into the typical island landscape. 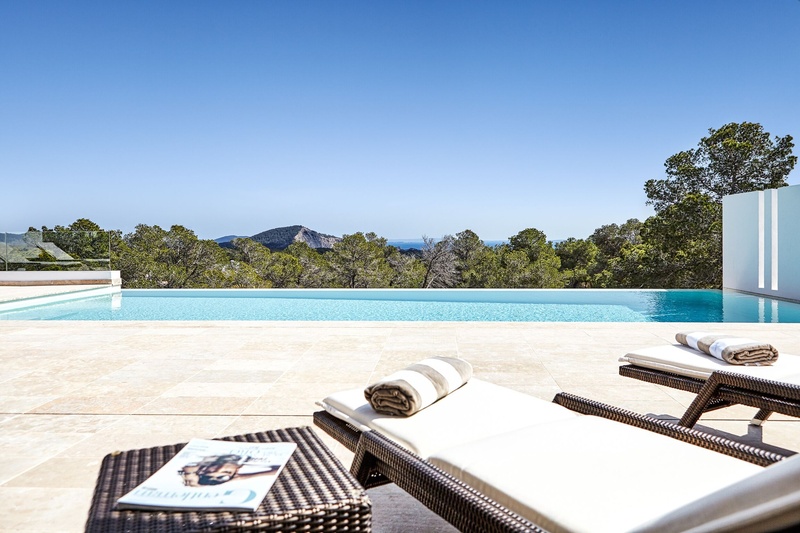 The extensive luxury villa offers seven bedrooms with bathrooms and high ceilings. 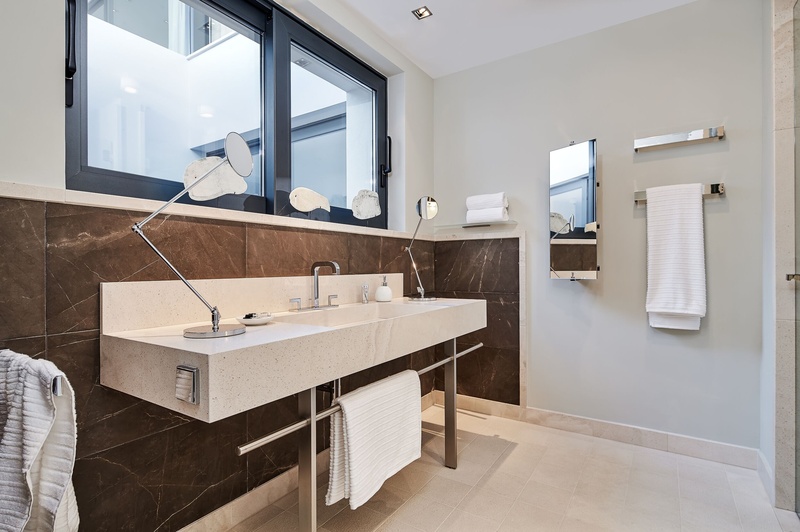 The bathtubs and washbasins are made from solid blocks of natural Brera stone. 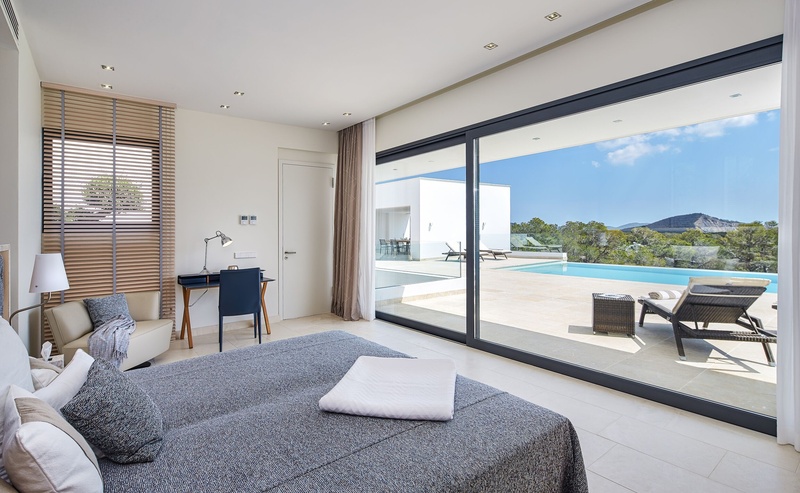 Both the main bedrooms in the side wing are exceptionally comfortable, offering walk-in wardrobes and private terraces. The entrance level has a staff apartment with an internal courtyard and three bedrooms as well as a shady veranda. Three kitchens and a loft-style living area provide plenty of space for all of your friends and the 645 sf pool is everything you could wish for. 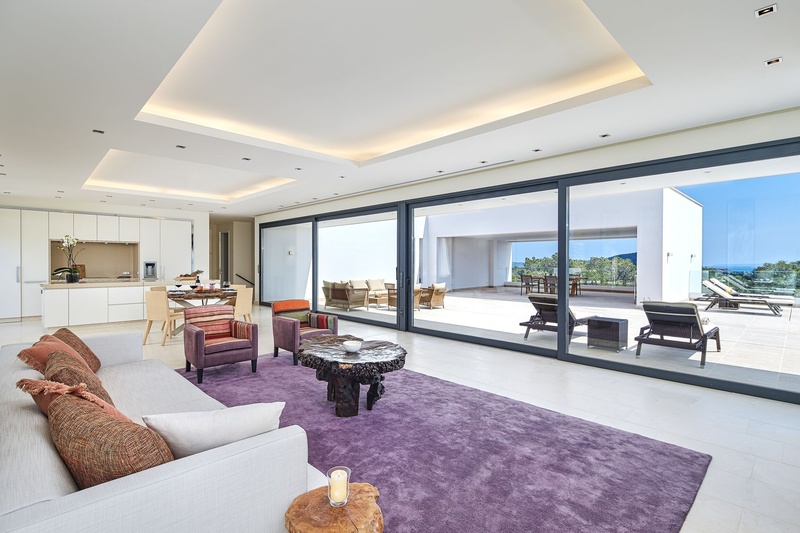 In this property you can rest and relax in spacious rooms with a modern design. High quality works of art add the finishing touches to this unique property while the latest home technology provides perfect home comfort. The large garage with space for two cars is built into the hillside and offers direct access to the lobby. 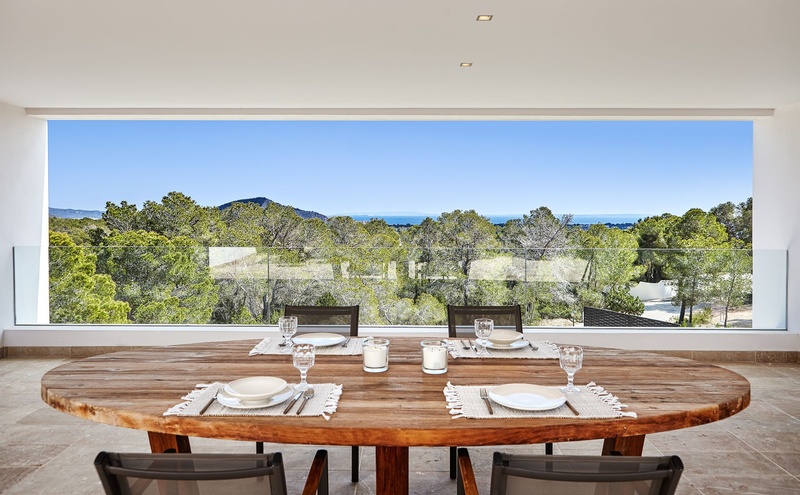 A unique vision providing a rare chance to buy within one of the most illustrious addresses of Ibiza.